The basic plot is sound and entertaining, as much of the plot as I saw. I got through only one and a half episodes before I turned it off. 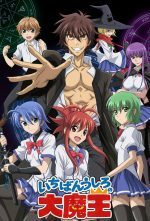 The story would seem to revolve around a single guy who is learning the way of a magician, but is destined to become the Demon King, or destroyer of the world. He’s surrounded by girls (and another guy) who are either trying to kill him or they trust him and try to help him out. Unfortunately it seems like clothing is an optional thing. Pretty much every time magic is used it seems like the girls’ clothes get blown off or ripped to shreds. Summary: It would have been a great show if clothing wasn’t flying off every few minutes. Content: Completely unclean, to the point of being obscene. The storyline of this one sounded interesting. It wasn’t a terrible plot but definitely not my kind of entertainment. It wasn’t that it was terrible in terms of the content (I managed to get through a few episodes before I decided to move on). It just felt like I was watching a love story when I expected to be watching an action flick. 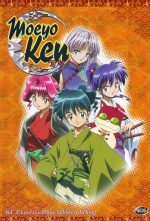 You would think the story is about a group of girls trying to stop monsters (and is what I thought from reading the plot summary) but really it is about that same group of girls trying to get their bosses son to stay in Japan instead of going back to China to marry his fiancé. To do that they decide he needs to fall in love with a “local girl”. Hence, the love story. I don’t mind love stories but it just didn’t mesh for me with the underlying “stop monsters” theme – that and it started showing too much flesh. Summary: Eh. I could have done without, wasn’t that riveting of a storyline. Content: Not terrible, but there is a fair amount of flesh being shown off every few episodes it seems. This is hands down one of the funniest TV shows I have seen in a long time. The premise says it all: Haruhi walks into the host club room while looking for an empty room to study in and breaks some valuable vase. He is then coerced into joining the Host Club to help entertain the ladies to pay off the cost of the vase. 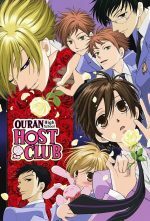 The Host Club is a bunch of boys that entertain the girls of the school, nothing shady but the guys are expected to make the girls happy – only Haruhi isn’t a guy, he’s actually a girl dressed as a guy because she had to cut her hair real short just before school started. Comedy ensues as the rest of the Host Club tries to keep Haruhi working for them without anybody figuring out she is actually a girl. Haruhi quickly learns to just accept her fate and enjoy the opportunity to spend time with the guys, her new friends. But there is only so much of these guys she can take, especially when they follow her on summer vacation!